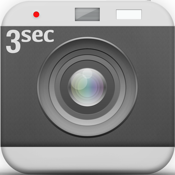 Snapshot Your Life - The Daily Cam lets you record 3 seconds of every day of your life and creates your personal film out of it. Start now and join the culture phenomenon. It was never so easy.